When it comes to hiring skip bins hire Jimboomba has a lot of option. With so many skip bin hiring companies out there, how can you ever choose the right one? The key is to choose the company that will offer you the most bang for your buck. You get that, and a whole lot more, when you choose Truckin Rubbish. 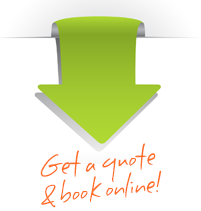 We offer online quotes and online booking for your convenience. We offer service delivery to most of the Jimboomba area. Take a look at our bin sizes and the comparison chart to see how we measure up with other companies! Once you get your online quote and book your skip bins, we will deliver it to you. You are then able to fill the bins with a variety of rubbish to the rim. There are certain waste materials that shouldn’t be disposed of in the skip bins, including solvents, paints, asbestos and hazardous waste. You can hire the skip bin for as long as you need it. Once it is full, we will come and pick it up and haul off the rubbish! It makes cleaning up after construction or deep cleaning so much easier and much more convenient! Like Our Budget Bin Hire Prices? Book Jimboomba Bin Hire Today! 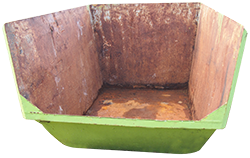 If you would like more information about our skip bin hire, just give us a call. We will be happy to answer any questions that you may have. There is also a frequently asked questions section that you may refer to. This usually answers most questions that our clients have. If you are ready to receive a free price quote or book your skip bin, you can do that quickly and conveniently from our site. Don’t delay! Call today. With our competitive prices and outstanding service, you won’t find a better company to do business with.